Ah, President Lex Luthor. Hard to believe that’s an acceptable alternative. 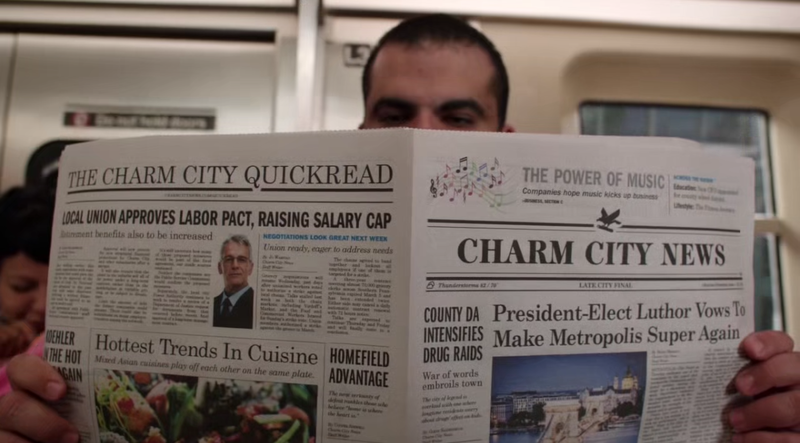 POWERLESS — So off the top, lets get to the positives of the pilot. You got a really good cast (Alan Tudyk, everyone!) to ground this, and the concept of real people dealing with superheroes and villains on a regular basis is a fun concept. And our group of misfits having to contend with workplace calamity as well as developing technology to save civilians from stuff like getting gassed by the Joker to Superman accidentally going through a building (“But how would (kryptonite windows) work if the people inside needed help from Superman?”) is good in theory. But as a series? I’m shaky on that. While I liked most of the pilot, seeing this as a full on series is still vague, especially since I don’t see anything in terms of plot overarching that should interest me beyond it. 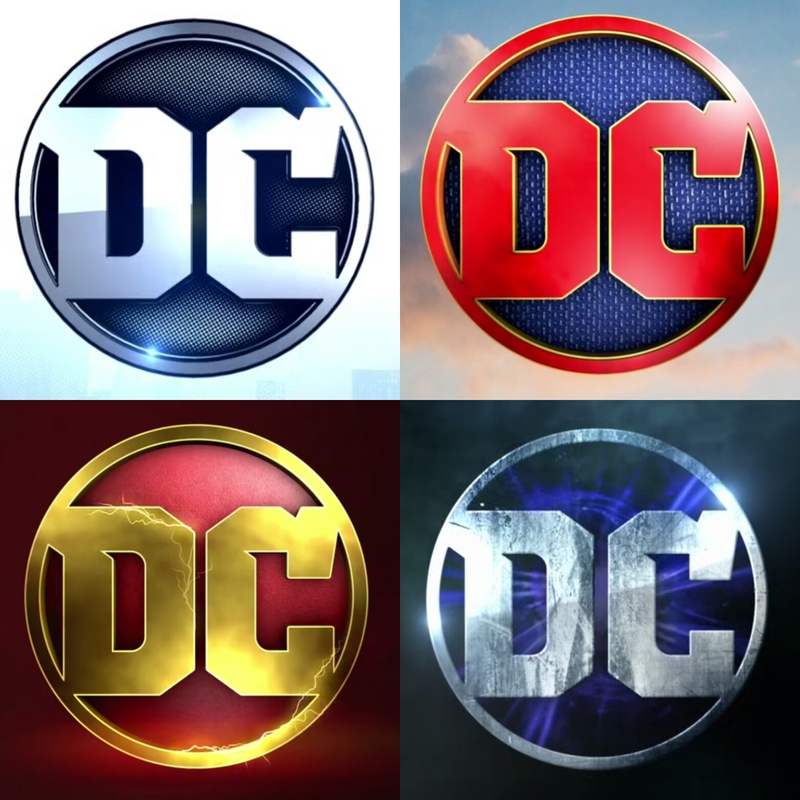 Its like a fun webseries concept that maybe shouldn’t be a regular network series, even as its connections to any other DC TV shows is vague or nonexistent (if you are big Crimson Fox and Jack O’Lantern fans, clearly you might find more a kick out of it than most). Would I recommend this either way? I hesitate to say “yes”, but “maybe”. I’ll check out the next few episodes and offer my thoughts in a few weeks. Stay tuned. 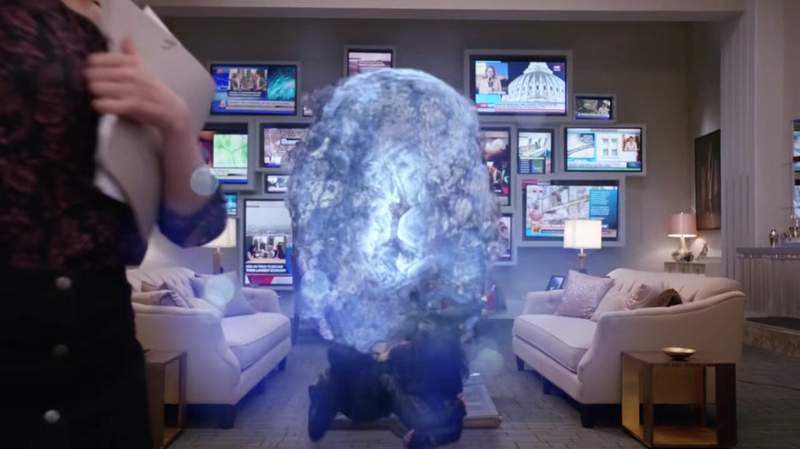 SUPERGIRL — On this episode, we get the return of everyone’s favorite catty electroshock villain, LiveWire! Of course there’s two big differences for her return here: she’s not really the bad guy of this episode (the mad scientist who kidnaps her to make supersoldiers with her power is), and Cat Grant is still not on the show to face her wrath. On the other hand, pretty much all our heroes get into conflict this episode, except J’Onn, who has to do some Martian mindmeld to help M’Gann with her visions of White Martians. Oh yeah, she fears White Martians are coming to collect her for betraying them, but let’s put that aside for the moment. Beside letting LiveWire escape (because being enslaved by a mad doctor is kind of like early parole), Kara discovers Jimmy’s part time gig as the Guardian, and is so not cool with it at all. And then there’s that deal with Mon-El, who is interested in Kara, but thanks to her insecurity over such a blunt statement, makes it clear the guy is gonna stay in the Friend Zone for now. And then there’s Alex and Maggie, who wage deals over whether to eat vegan ice cream. Jeez, vegan ice cream. –So wait, Winn can still work at the DEO after all the Guardian part-time stuff was revealed? Sure. 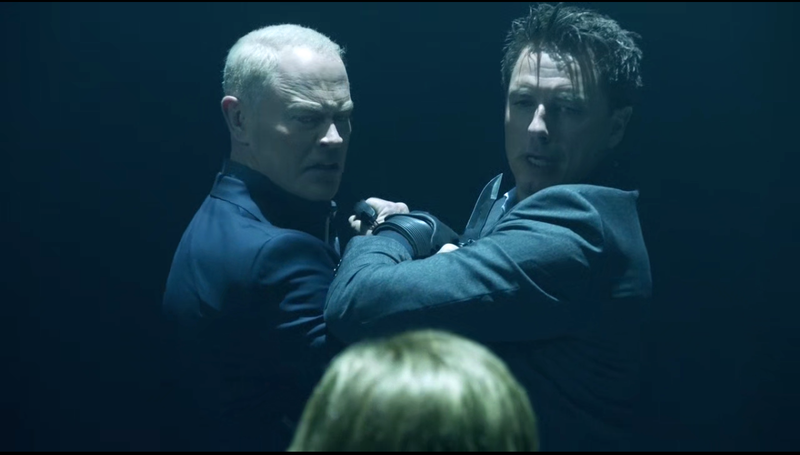 DC’s THE ODD COUPLE: Damien Darhk and Malcolm Merlyn are ex-League of Assassin members who don’t have much in common, except evil. Can these two live together without murdering each other in combat? 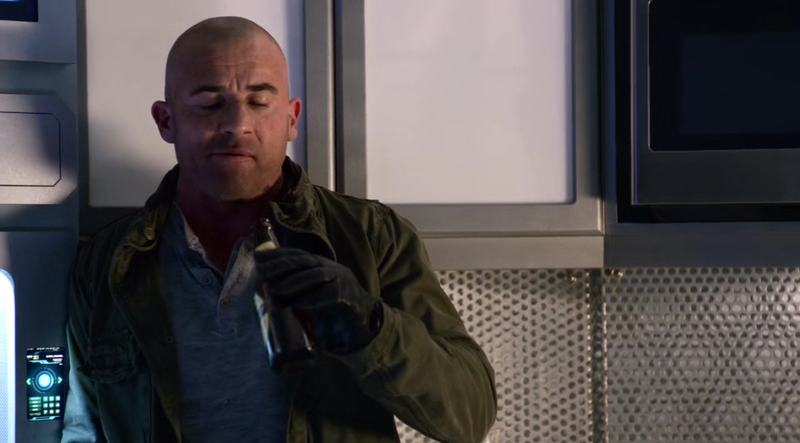 LEGENDS OF TOMORROW — So our heroes figure out why Eobard Thawne has recruited Damien Darhk and Malcolm Merlyn (which we’ll talk about in a bit), and Stein’s daughter finds out she’s a time abberation, but that gets worked out eventually. And that’s really it for the Legends, because this episode was all about the Legion of Doom! 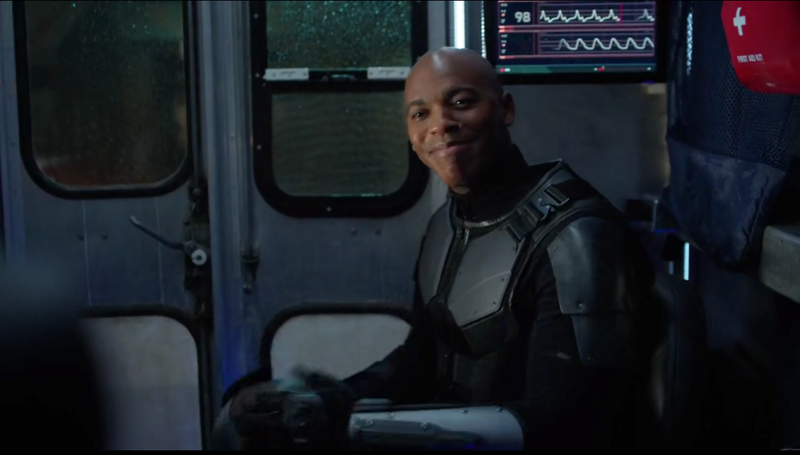 While Eobard is excusing himself, its up to Damien and Malcolm to try to find out what they can from the mindwiped Rip Hunter, and of course, talk trash to each other. When that trash talking almost ends in blood spilled, they realize Eobard doesn’t really respect them as partners, so they join up to trap him, and then they discover the truth behind the speedster’s absence. Well, he’s being chased by that creepy Black Flash from The Flash season two, and being that he’s not supposed to exist anymore, creepy Flash monster wants to collect Eobard. So they get him out of that mess (for now) and find something on Rip: a memory imprint of Rip from the future they can download into his brain. BUT, the Legion makes a few alterations in that imprint, and turn Rip into a bad guy! Who shoots George Washington! Teamwork! –So somehow Eobard couldn’t phase through that safe to escape? Speedster-proofing materials in the future? –Funny that mindwiped Rip is the one who keeps Malcolm and Damien from killing each other, and makes for a stronger evil super-team. Oh hey, its a Supergirl crossover! And how do they explain what happened to Jimmy’s office? THE FLASH — On this episode, H.R. is revealed to be a wanted fugitive in his world, which leaves the dimension hopping bounty huntress Gypsy dropping by STAR Labs to bring him in. To save him, Cisco offers to fight Gypsy for H.R.’s life, but that fight is supposed to be to the death! The team now has to help train Cisco to fight a super lethal hunter, who Cisco kinda has the hots for. Jeez, man, what is it with you and super villainnesses? After he wins the battle and gets a rain check on a date with Gypsy, we still got other things to worry about this episode, like Iris feeling a bit overconfident about surviving life or death scenarios. I guess learning you might be dead in a few months at the hands of a speed god will do that to you. But Barry is thinking ahead to how he can stop Savitar’s killing of Iris…because he isn’t going to stop Savitar. He’s going to train Wally to do it! –Wonderful interdimensional battle here, as Cisco and Gypsy end up on different Earths, like the one Supergirl resides in! –Hey, Julian is becoming kind of a member of Team Flash now. –So, Joe’s gonna find out about this Iris thing probably next episode, right?